Kenichi Matsuyama and Akira Terao are cast for major supporting character roles in TV Asahi drama series “The Great White Tower” starring Junichi Okada. The drama series is based on novel “Shiroi Kyoto” by Toyoko Yamasaki (“The Unbroken“). The novel has been adapted into film and TV drama series previously. For the drama series, Kenichi Matsuyama will play Shuji Satomi and Akira Terao will play Teizo Azuma. 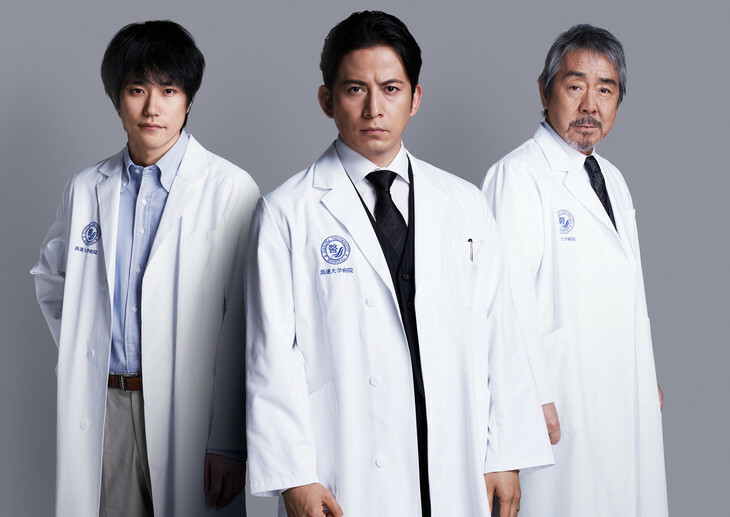 Shuji Satomi is a surgeon who is concerned about saving lives, while main character Goro Zaizen (Junichi Okada) also seeks fame as a surgeon. “The Great White Tower” will consist of 5 episodes and air on consecutive days sometime later this year in Japan.